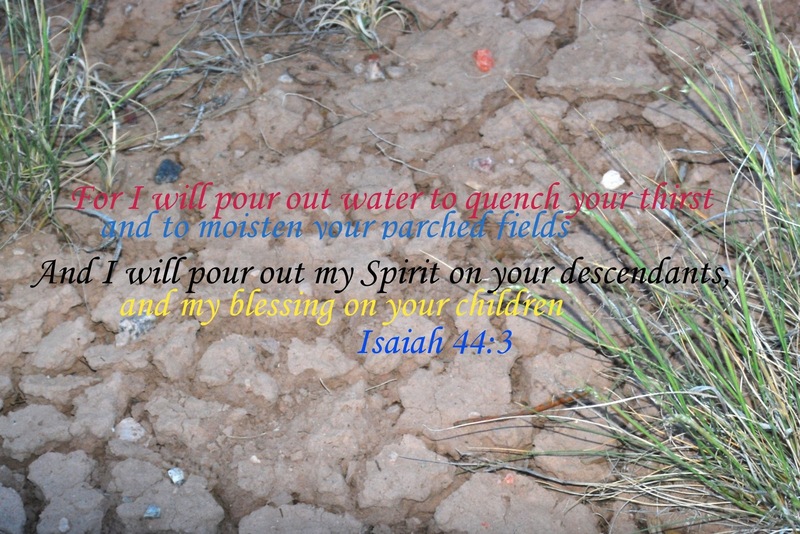 For I will give you abundant water to quench your thirst and to moisten your parched fields. And I will pour out my Spirit and my blessings on your children. They will thrive like watered grass, like willows on riverbanks. Isaiah 44:3-4 is a scripture I’ve been meditating on and praying over my extended family for the past few days. Thirst has been a recurring theme for me this year. At times, I’ve been guilty of using substitute sources in an attempt to quench my thirsty soul. For there are many to choose. But despite the initial happiness they bring, the satisfaction is only momentary. Thus I need the Lord to send His water as promised. Being who He is, God doesn’t give a little but sends an abundance of water to not only me but also to moisten my fields. On first reading, one may be tempted to overlook the phrase, moisten your parched fields since many of us don’t have natural fields. However, the phrase is still very relevant to us today. It was in the fields were one worked, gathered food for their families and ministered to needy by leaving portions of the field for them to glean from. The field is place of activity and expected productivity. 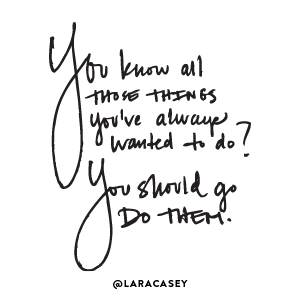 No farmer plows, plants, and waters without the expectation of reaping a harvest. Yet, when we are dry spiritually, the activities we’re involved in become laborious and yield little lasting produce. We find ourselves going through the motions, while our jobs, family time, and ministry endeavors have become lifeless. The good news is that it doesn’t have to stay that way. Simply go back to the real Source for a fresh drink. Today, I extend my prayers to each of you. May every substitute water source be displaced in your lives. Thus making room for the authentic thirst quencher. I pray that every dry place would be filled to the overflow with His presence. May His Spirit and blessings be on you and your family. In Jesus Name. To find other Word filled inspiration, visit Internet Cafe Devotions. I pray the same over you dear sis. Wanda – my post today is about being thirsty also, and clinging to Jesus who is the life giving water. May we always cling to Him so that we can reap a bountiful harvest for His kingdom. I love the analogy of "pouring out." I often imagine it…I find myself comforted and challenged by Isaiah, and it's one of my favorite books! A lovely post Wanda such a pleasure to read. Dry times are natural, or else, how would we know when we've been filled? Jesus wouldn't allow tabernacles to be built on the mountain top. God is so good to allow us to continue to thirst until we fill up with Him! May He fill up all those parched places in all of us. Blessings to you, friend! Great post! I receive that prayer. You have no idea how timely it was for me this morning. God bless you. Beautiful. No alternative sources, just THE SOURCE of Life in our lives! May we cling to You, Lord, our source of life. Please join me on Pursuit of Titus 2 for a blog party that you can not miss!!! I am hosting a True Woman Manifesto Blog Party courtesy of Revive Our Hearts with Nancy Leigh Demoss. Please, I encourage you to link up with this blessed event. Click the link below to find out more and I hope to see you ALL there! May God Bless you!!! It is time for us as women to embrace our Biblical role as women, wives and mothers according to Titus 2 and Proverbs 31…We need to take back what the feminist movement tried to start in destroying our Biblical roles and get back to what GOD said through HIS word! I Hope to see you there! Great post, Wanda! I've been guilty of using other sources to quench my thirsts, too, but they never satisfy, do they? praying that prayer for my friends and myself as well!! thanks! Thanks for the beautiful prayer. I accept it in faith. 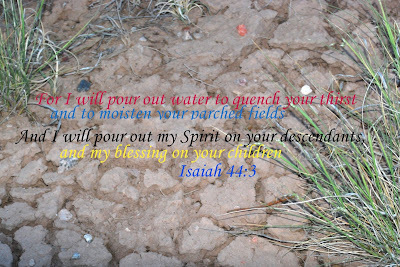 and echo as well "moisten my parched fields, Lord as I quench my thirst in You"
What a wonderful post Wanda. And I am DEFINITELY guilty of going to other sources for nourishment sometimes. I love the prayer. Amen! What wonderful verses and great thoughts to go with them. Thanks for sharing. Wonderful post. I am drinking often from the authentic thirst quencher! Bless you dear girl. Beautiful sentiment, it truly is a great verse to meditate with. I'm glad you were able to find your way back to my blog and Thank you for following. Peace be with you. Wanda, what a blessing to read. Thank you. All day long today I have seen verses about God giving me water to quench my thirst. I've seen it here on blogs, both WFW posts and other blogs, I've seen it in my daily verse calendar, I have literally seen it about a dozen times today. WOW, Wanda – this is so powerful, and a reminder I so needed. So glad I stopped by today. Happy WFW! Yes, a prayer of my heart. loved the scripture and your post, Wanda. Your prayer is so appreciated, and I pray for you also, that we would be able to be overcomers of, as you said, any substitute water source, and that we will indeed be filled to overflow with His presence. Thank you, Wanda! A wonderful and inspiring post! Thank you for the reminder that Jesus is our source for a fresh drink! May we drink from Him today! Thank you for stopping by my blog. It is greatly appreciated!